Ich möchte zukünftig über aktuelle Trends, Angebote und Gutscheine von Sioux per E-Mail informiert werden. One of the major uncertainties when it comes to buying shoes is the question of which shoe size is the right one to opt for. There are different shoe size systems across the world. Here are the three most relevant systems: US, UK and EU sizes (Paris point). With our shoe size table, you are guaranteed to find the perfect shoes for you. To make sure you get a perfect-fitting shoe, the right shoe size is not enough on its own. The shoe width, which defines the circumference of the forefoot, is no less important. Shoe cleaning is an art in itself and a task that fewer and fewer people are unfortunately taking the time to do. This is a shame because shoes are at their best when they are cleaned and maintained well. “Smart up top, casual on the bottom” is not a motto that we recommend following for your style inspiration, even with laid-back fashion trends that are popular nowadays. MORE INTERESTING ARTICLES ABOUT SHOE 'KNOW-HOW' CAN BE FOUND HERE. We have listed the 10 most common foot disorders for you and used everyday language to explain how you can diagnose these foot ailments yourself, and, more importantly, what you can do to prevent the causes of the respective ailments. Self-care is always beneficial to your feet, whether it’s walking barefoot, taking breaks from wearing shoes or performing strengthening exercises. Read our tips and do something good for your feet! They will thank you for it later. We pride ourselves on being a shoe manufacturer with heart and soul and we have been that way for six decades. Each and every shoe we make features our expert know-how and the highest quality materials. MORE INTERESTING ARTICLES HOW TO KEEP YOUR FEET HEALTHY CAN BE FOUND HERE. 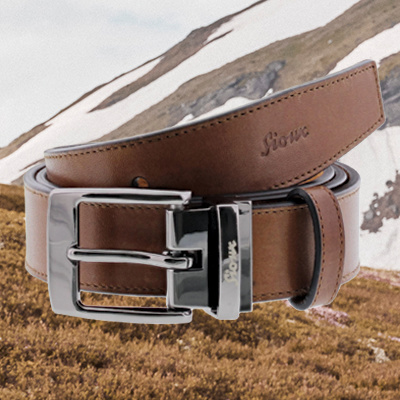 The traditional shoe brand Sioux was founded in 1954 by Peter Sapper in Walheim, Swabia. Sioux now has 270 employees in Germany and Portugal. Precise handwork, highest craftsmanship and perfect fit paired with style and fashion are our focus. We make shoes for the highest demands with optimum toe freedom - both men's and women's shoes. 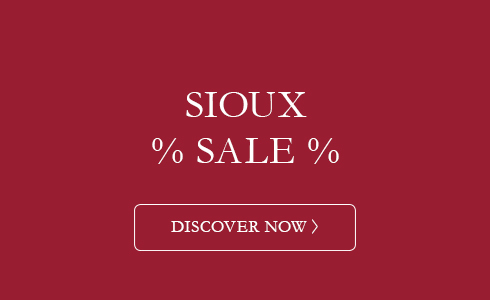 In the Sioux Online Shop you will find the largest selection of cheap Sioux shoes. We offer the whole collection of high-quality and comfortable leather shoes for men and women. Whether men's shoes such as boots, noble men's business shoes, sneakers and moccasins for men or women's shoes such as bootees, ballerinas, boots, pumps or women's moccasins. We offer all different models and designs for high demands. Nevertheless, we offer all our shoes at reasonable prices and with free shipping and return shipping. Benefit additionally from the advantages as a newsletter subscriber. Here you have the opportunity to benefit from exclusive promotions, special discounts and interesting information about shoes. Comfortable shoes with the perfect fit. This is the standard to which we are committed. The problem with many women's and men's shoes is that there are no suitable shoe sizes for the different feet of the customers. Due to this fact, a perfect fit with optimum wearing comfort is not possible. That is why we offer women's and men's shoes not only as a whole, but also in half sizes. In addition, we have a wide selection of oversized leather shoes that are also ideal for particularly large feet. Our size range for women's shoes is from the English shoe size 2 ½ for small feet to the English shoe size 10 ½ for particularly large feet. In the German shoe sizes this corresponds to women's shoes from shoe size 34 2/3 to women's shoes in shoe size 45 Our range of men's shoes in English shoe size includes models from shoe size 5 for men with small feet to models in shoe size 15 for men with very large feet. This corresponds in the German shoe size to a selection of men's shoes from size 38 up to shoe size 51. 51 corresponds to a foot length of approx. 33 centimetres. 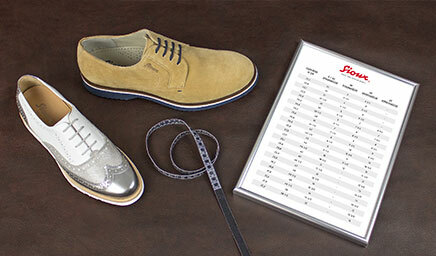 More detailed information and an extensive conversion for all shoe sizes can be found in our shoe size table. Click here for the shoe size table. In our Shoe Knowledge section we also provide useful tips on the right shoe size and show you how you can easily determine your own shoe size. In addition to the right shoe size, the selection of the right shoe width is of utmost importance for the wearing comfort of shoes. For this reason, we have made it our business to offer the right shoe size for every foot. No matter if you have a very narrow or a very wide foot, with us you will find the right shoe for every foot. Our shoe widths include all standard shoe widths and extra shoe widths for particularly wide feet. We manufacture our ladies' shoes for you in shoe width F, shoe width G and shoe width H. Our men's shoes are available in shoe size G, shoe size H, shoe size J and extra wide shoe size K. The shoe size must not be confused with the shoe width. The shoe width is measured over the bale size. Nowadays, feet are getting wider and wider. If your own shoes press, this can lead to great pain and blistering. For this reason, choosing the right shoe size is essential for every shoe purchase. However, always remember that our shoes are high-quality leather shoes when you try them on for the first time. As leather is a natural product, our leather shoes give way a little after the shoes have been inserted and adapt to the foot. In our shoe knowledge section we give you useful tips about the right shoe width and show you how you can easily measure your own shoe width yourself. Our high-quality leather shoes help you to maintain and improve your foot health. The highest quality materials such as shoe soles and shoe leather protect your feet and prevent perspiring feet. The natural materials used allow comfortable men's and women's shoes in a wide variety. With the help of the correct fit, you get men's and women's shoes that offer inimitable comfort. These comfortable leather shoes are comfortable and fashionable at the same time. Due to the high degree of fashion, our leather shoes should not be confused with classic health shoes in the optical sense. In terms of comfort, however, our leather shoes are in no way inferior to the well-known health shoes. Shoes for healthy feet must not only provide excellent comfort but also optimum toe clearance. The right shoe width is particularly important here. The choice of the suitable shoe width requires a comfortable toe clearance and prevents pressing shoes. For this reason we offer a wide range of models, whether moccasin, pumps or boots, in shoe size F, shoe size G, shoe size H, shoe size J and shoe size K. Thus we guarantee for every foot, whether you have a slender foot, or a wide foot, a pleasant toe freedom. The advantage of the freedom of toes is that the shoes are very comfortable even after long wear and they do not feel any pain. With a comfortable footbed and many shoes with an optional removable footbed, your feet will not hurt even after long periods of standing. These facts make our shoes to optimal comfort shoes with that certain extra. Order the low-priced high-quality Sioux leather shoes for men and women today and convince yourself of the comfort and shoes with optimum toe freedom. When Sioux GmbH was founded, Peter Sapper attached particular importance to comfortable shoes at reasonable prices. This comfort, combined with the shoes with the perfect fit in combination with fashion, make our shoes real hybrids. That is why the comfort in the production of our shoes is still at the highest level today. Good-looking shoes that are not comfortable are out of the question for us. Only women's and men's shoes that combine both come into production with us and are included in the collection. Our removable footbed proves to be a particularly popular comfort element. This removable footbed allows the individual adjustment of the shoes to the needs of your foot. If you have orthopaedic insoles, for example, you can also use these in Sioux shoes with removable footbed. Another important aspect is the large selection of different shoe sizes and shoe widths. Here we have women's and men's shoes for small feet and for large feet. 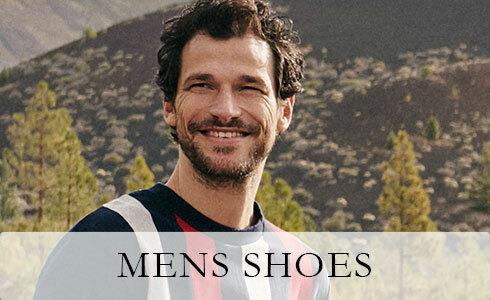 The same applies to the range of matching men's and women's shoes for narrow and wide feet. 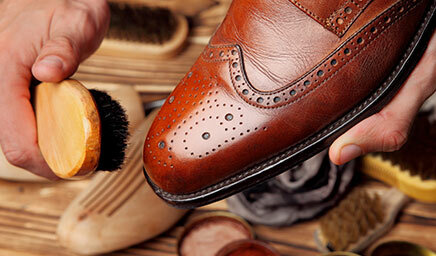 The soles of the shoes and the materials used play an important role in the comfort of the high-quality leather shoes. Particularly popular are the shoes with genuine natural crepe soles. Sioux is a true specialist in crepe soles. Many manufacturers do not use genuine natural crepe in the manufacture of their shoe soles. At Sioux we use this luxury natural product on a variety of models. Every litre of this natural product, which is later processed into crepe soles, is produced in an environmentally friendly way. The crepe sole is probably the most natural form of comfort for shoes. Crepe soles are especially suitable for a natural look. However, the natural crepe provides an additional level of comfort, as this shoe sole is particularly comfortable. Sioux shoes really accompany you through all situations in life. 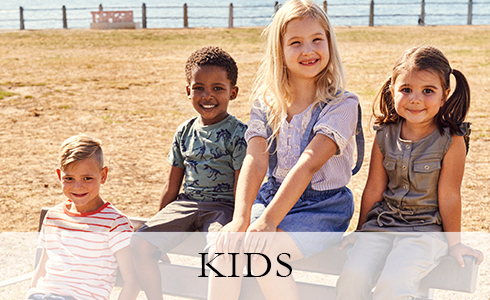 We also produce shoes for all ages. In summer we recommend urban suede shoes that give any outfit a casual look. No matter if you buy your first Sioux shoes and value design and fashion, or if you are already a convinced Sioux customer - we have the right shoe for you for every taste of men's and women's shoes. Especially those customers who place great value on shoes of the best quality, shoes with high comfort, shoes made by hand and shoes made of high-quality shoe leather, will get their money's worth with us. It doesn't matter whether you have a narrower foot or a wider foot, because with our different shoe sizes and shoe widths you will also find a shoe with the perfect fit. Each of our high-quality men's and women's shoes is manufactured by hand and in numerous work steps. In our own factory in Portugal, more than 200 employees work by hand on most of the shoes we sell. Sioux has been producing shoes by hand in Lousada for over 30 years. Trained specialists manufacture the shoes step by step with the highest precision, sensitivity and with great attention to detail. The area around Portio is known for its shoe factories, which still used manual labour. Therefore this is a real paradise for us as shoe manufacturers and we can fall back on maximum know-how and real shoemaker art. We also produce individual models of our shoes in India. In India, we work with long-standing partners who strictly adhere to all occupational safety guidelines. Here, too, the employees produce every single Sioux shoe by hand. A Sioux technician is always on site to monitor quality and ensure occupational safety. Handicraft has a long tradition in India and has been optimized to perfection. Sioux uses only the finest shoe leathers for our shoes. Every shoe leather we use comes from European production. Currently, particularly soft suede is in demand for our men's and women's shoes. 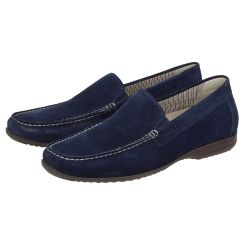 This suede gives any women's or men's shoe a particularly casual look and also contributes to the comfort of the shoes. Optimally cared for shoe leather helps your women's and men's shoes to the optimal fit and inimitable wearing comfort. Today's population is struggling with ever-increasing feet due to lack of exercise, poor footwear and obesity. We as shoe manufacturers have taken on this problem and made it our business to also offer fashionable leather shoes for people with wider feet. Often narrow leather shoes are bought even with wider feet, as the fashion aspect takes precedence over comfort. This is exactly what we are working to counter and are now increasingly offering wide leather shoes for additional feet that meet high fashion demands. We have expanded our own range for wide leather shoes in shoe width H for men and shoe width G for women. These wide leather shoes with comfortable shoe width, also offer wide feet the highest comfort and the unique feeling that you are accustomed to from Sioux leather shoes. Let us convince you of our large selection of wide leather shoes for further shoe sizes. Today, the removable footbed is only available for very expensive leather shoes. This removable footbed offers special comfort for your feet. However, due to the materials used and the expensive production, a removable footbed is no longer a matter of course. Furthermore, a removable footbed is also only possible for models that are manufactured over certain lasts and with certain shoe soles. Otherwise the leather shoe does not have enough space for such a removable footbed. The removable footbed allows you to equip your leather shoes with your own insoles. The focus here is on comfort and your foot health. Nowadays more and more people need their own insoles in their leather shoes. This is due to back problems or other physical complaints. Through the own insoles such complaints are counteracted and an important contribution is made to the general well-being. For this reason we offer a large part of our leather shoes with removable footbed. No matter if moccasin, sneaker or ballerina, with us you will find models with removable footbed for every shoe type. This removable footbed is always 100% covered with high-quality calfskin and, thanks to the material used, provides optimum cushioning for the foot and the associated maximum comfort. Are you looking for men's and women's shoes and don't want to make any compromises? Then you've come to the right place. Since 1954 we stand for best quality and unique wearing comfort. Everyone who travels a lot knows how important the right footwear is. Because if you don't have the right shoes for this, you risk not only pain but also severe symptoms in the future. That's why everything in our leather shoes is geared towards perfection. From the sole to the shoelaces. The heart of every leather shoe is the production, whereby we rely on 100% real manual work. Our experts are true luminaries in the field of shoe production. Most of our women's and men's shoes are manufactured for you in our own factory in Portugal. The same applies to our materials. We work together with partners of many years' standing. Every raw material used in our shoes undergoes intensive and continuous testing. It is our claim to always produce the optimal product for you. Our shoes combine the highest quality with the best materials and the latest fashion trends - and at fair prices. Let us convince you of the unique quality of Sioux women's and men's shoes. The moccasin is firmly anchored in Sioux's DNA. The moccasin is not only our speciality, but also dominates the collection picture of our shoe selection. Both men's and women's shoes are largely about the moccasin with the optimum freedom of toes. Although the moccasin has the usual shoe size F for women's shoes and shoe size G for men's shoes, it still leaves enough room for toes and the necessary shoe size for the ball of the foot. Due to its comfortable moccasin design, the shoe shines through special comfort attributes with sufficient toe clearance. Our men's and women's shoes are available in all variations. 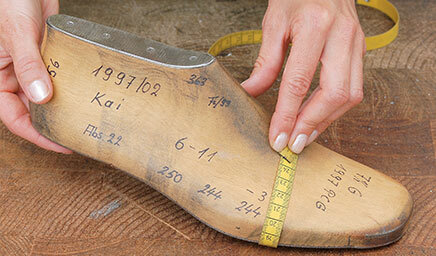 We vary in shoe leathers and colours, but also in shoe width and soles. Are you looking for cheap leather shoes that are still of the best quality? Then you are in luck, because with us you will find high-quality leather shoes of the Sioux brand at reasonable prices. You will find inexpensive leather shoes for every taste in the entire range. Especially in the sale area you can profit here additionally and order the Sioux leather shoes at greatly reduced prices, cheaply online. We enable you to satisfy your quality demands and protect your wallet. If you also sign up for our newsletter, you can benefit exclusively from special discounts where you can get our leather shoes even cheaper than the advertised prices. But if you think that our cheap leather shoes must have any flaws, then you are wrong. All our inexpensive leather shoes are originally packed and have no defects. So don't hesitate and browse through our range of inexpensive leather shoes for men and women. Whether sneaker, moccasin, ballerina or sandal, we have the right leather shoe for every taste - and at reasonable prices. In our online shop you can get shoes in all colours. Whether formal shoes in black or casual shoes in a beautiful blue. Blue shoes are particularly popular this summer for a casual outfit in the office. Which blue the shoes have here is a matter of taste. Some people prefer their shoes in a strong blue and some women swear by shoes in a soft light blue. Both shoes in blue and shoes in light blue unfold their great variety of colours particularly well in variations made of fine suede. This suede leather makes the shoes shine in blue and the shoes in light blue particularly beautiful and gives your outfit a colourful look. From our shoe production, over the consultation up to the processing of complaints, we attach highest importance to maximum customer satisfaction. We will be happy to help you find your personal favourite shoe from the collection and make the ordering process as easy as possible for you. Our qualified customer service is always at your side and will help you with your concerns. Should the shoes not fit or are there other reasons why you do not want to keep the shoes, you can of course send them back to us free of charge. The return of your shoes is always free of charge. This is important to us, because your customer satisfaction is the highest good for us. Also in case of other problems or complaints our customer service is always at your side and supports you. If you have any questions or need advice, please call us directly. Our customer service is looking forward to you and your requests. We offer a large selection of leather shoes for women. No matter if you want to order a boot online or prefer to wear flat leather shoes for ladies, everyone will get their money's worth. With our leather shoes for women, we pay close attention to the highest quality leather and the finest materials. Especially if you order boots online, you expect the leather shoes to be of the best quality. Because boots you order online must always be comfortable and of the highest quality. For this reason, every leather shoe for women and every boot you order online is checked and tested for every detail after production. Already at the end of August the nights are slowly getting colder. For the transitional period into autumn you will find the ideal autumn shoes for men and women in the Sioux online shop. Besides slippers for the warmer days and thinly lined booties for the evenings, there is a large selection of different models for men and women. Especially popular in autumn are the models made of soft suede. This suede leather gives every outfit an unmistakable casual character. Since we offer the optimal shoes for online shopping for every season, it is not surprising that we also offer the optimal winter shoes for online shopping in winter. Characteristic for our winter shoes is that they are comfortable and equipped with the best functionalities. Among other things, the coarse sole profile is perfectly adapted to the slippery ground of winter. In addition, we offer our winter shoes for men and women with different lining materials. The models with fluffy soft lambskin lining are extremely popular in particularly cold temperatures. This lambskin lining warms your foot optimally and protects it from the icy cold of winter. However, we not only offer high-quality leather shoes for men and women to buy online, but also offer exciting information, tips and tricks about shoes and the Sioux company. In our Shoe Knowledge section you will find the right information on all topics relating to shoes. In our magazine you also have the opportunity to inform yourself about the latest fashion trends or the latest developments at Sioux. We are pleased not only about each reader, but also about evaluations, feedback or remarks. Our field of knowledge is supplemented by the category foot health. In this category you will not only learn everything about foot health and the direct connection to shoes. You will also receive product recommendations for individual foot complaints or useful information for more health in your everyday life. As we often solve or take into account the company's foot problems with our shoes, we are happy to offer you this additional service. As in the area of shoe knowledge, we are always happy to receive evaluations, feedback or comments on the topic of foot health. 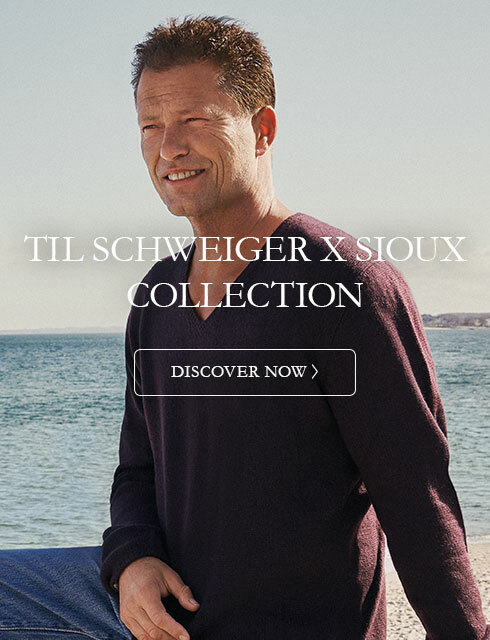 Sioux as a shoe brand attaches great importance to having its own online shop. Through this online shop we can present our shoe brand optimally and process requests and inquiries of our customers directly ourselves. We want that when you order shoes in an online shop you still offer the same range of services that you get in a specialty store. Therefore, as a shoe brand, we offer perfectly trained advice and optimal service in our own online shop. 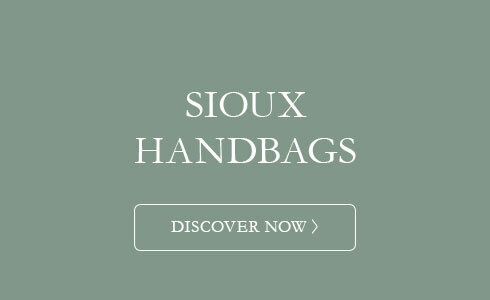 Through the shoes in our own online shop we also have the opportunity to present the entire range of Sioux shoes. As we have more than 400 different shoes in our assortment, the online shop is an excellent opportunity to optimally present your own shoe brand. In our online shop we combine the latest shoe trends, real shoe classics with cheap shoe bargains. We offer the right shoes for the well-travelled fashionista, the tradition-conscious gentleman as well as for the true bargain hunter. Our entire collection is particularly popular, above all because of the unique comfort and the highest craftsmanship in every single shoe. Let the quality and the unique feeling of Sioux shoes convince you and order today. If you have any questions, wishes or suggestions, we look forward to hearing from you.